Today, AP Physics 2 students completed the optics unit with the geometric optics exam. Based on first impressions, we should have practice ray diagrams more than we did. It’s hard to know with the new course how much to emphasize different areas. We didn’t solve any dual-lens problems at all. Based on my interpretation of the Essential Knowledge and Learning Objective statements, I think this is a reasonable decision. 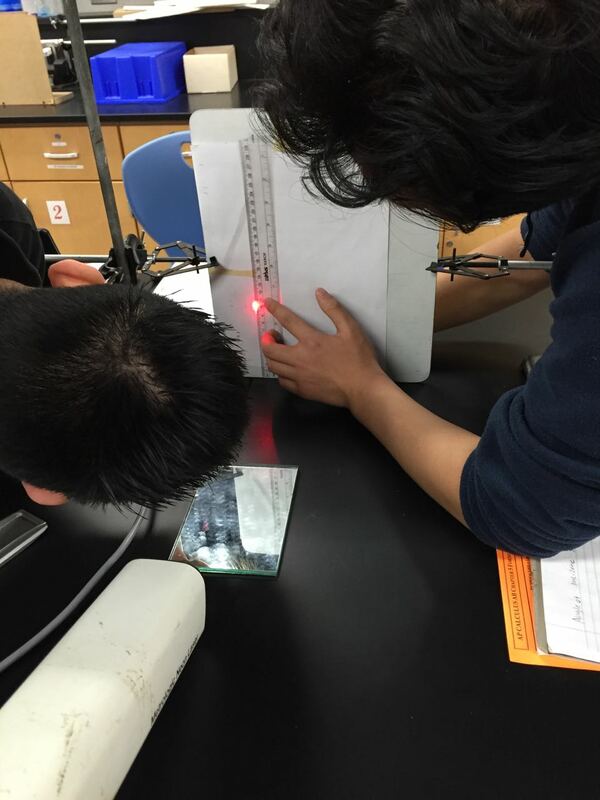 Today, I tried a new lab practicum based on The Physics Teacher article, “Determining the Thickness and Refractive Index of a Mirror.” Through careful measurements of the reflected and refracted beams and graphical analysis, students determine both the thickness of the mirror and the index of refraction. The most challenging part of the lab was keeping everything aligned and accurately measuring the angle. The use of the level app on a smartphone made measuring the angle much easier. My first class struggled to make accurate measurements as we were trying to keep the laser level and angle the mirror and screen. After watching one group during first hour try various techniques, I encouraged second hour to take a different approach. They changed the angle of the laser and left the mirror flat on the table. This approached resulted in more accurate measurements. Today, students took a practice quiz and worked with their table on a practice problem as they wrapped up the geometric optics portion of the unit. I am still at the FIRST Robotics Competition Rock City Regional in Arkansas. In case you are interested, one student created a video summarizing today’s competition. Today, students prepared and presented whiteboards on geometric optics problems. 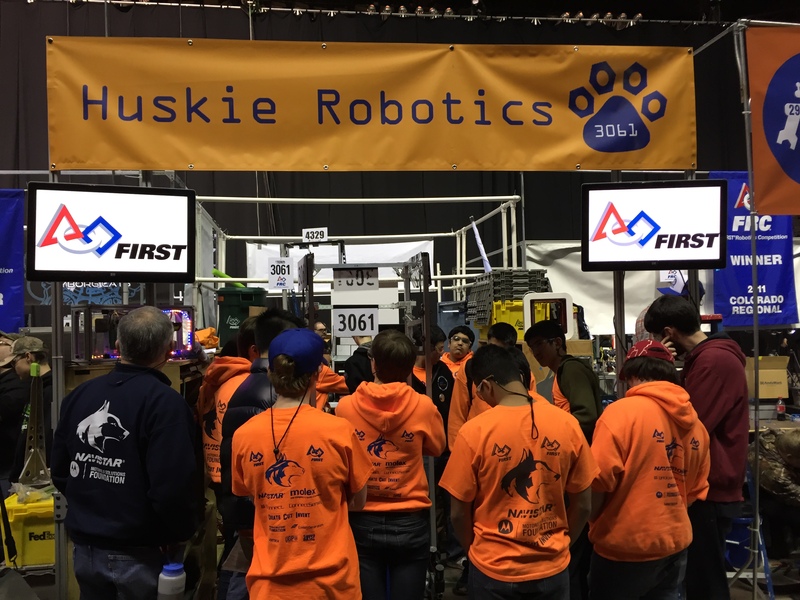 I am in Little Rock, Arkansas at the FIRST Robotics Rock City Regional with the Huskie Robotics Team. From that article is a link to a pair for $25. I’m very tempted. Anyone try these?